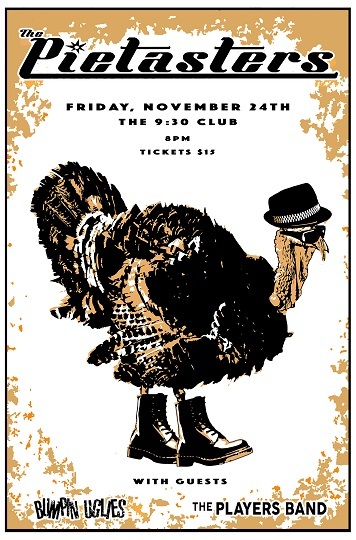 We’re happy to finally announce our annual holiday show on Friday, November 24th at the 9:30 Club in Washington D.C.! If you’ve been before, you know this is an absolutely *CAN’T MISS* show. The 9:30 Club is one of the best (if not *the best*) places to both perform and see music in the world. This year, we’re excited to have the Bumpin Uglies and The Players Band join us for the festivities. Tickets go on sale Thursday, September 14th at 10 AM EDT. *CLICK HERE* to purchase tickets!! There is a good chance this show will sell out, so be sure to grab tickets early! New Show Announcements – Blacksburg 10/7 & Virginia Beach 12/8!! !